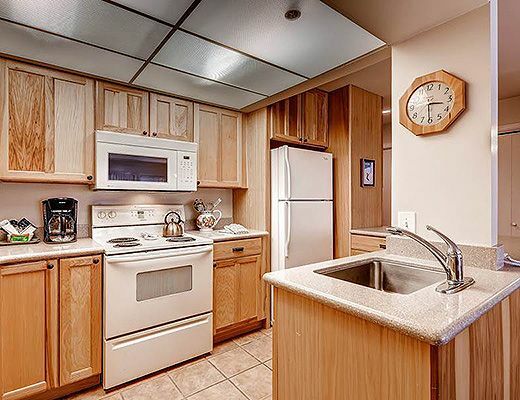 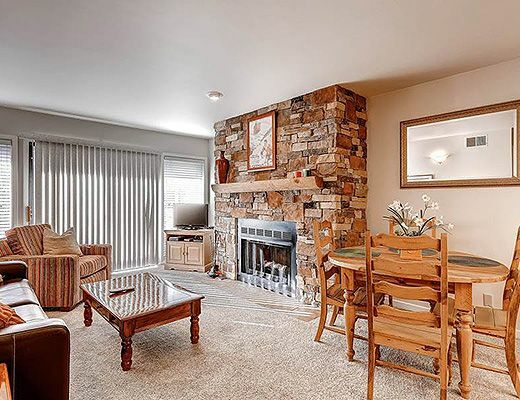 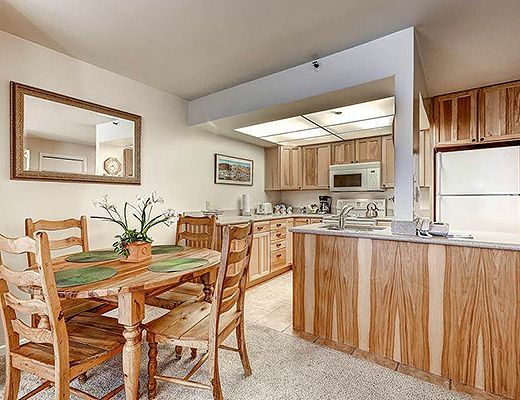 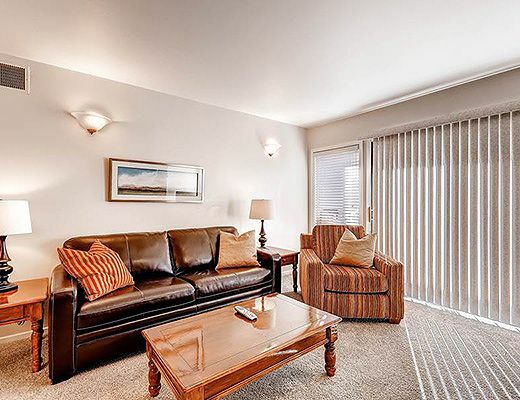 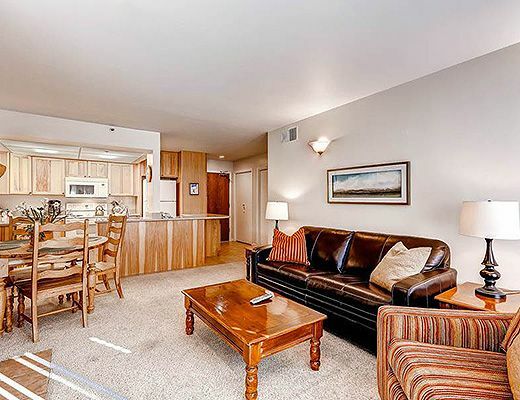 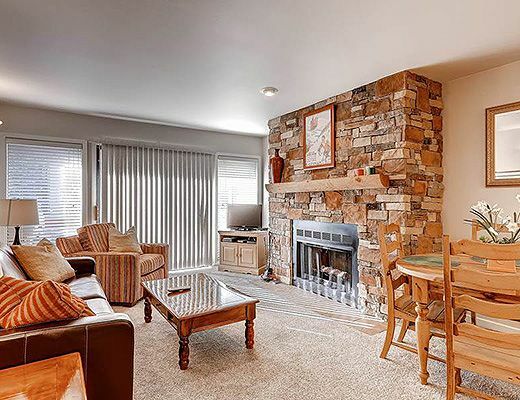 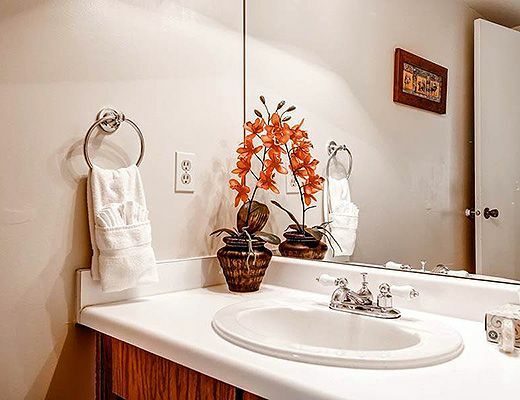 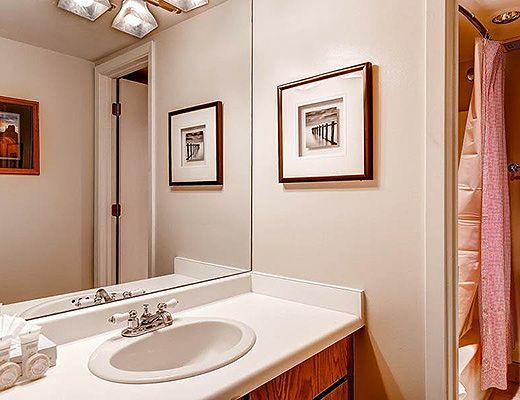 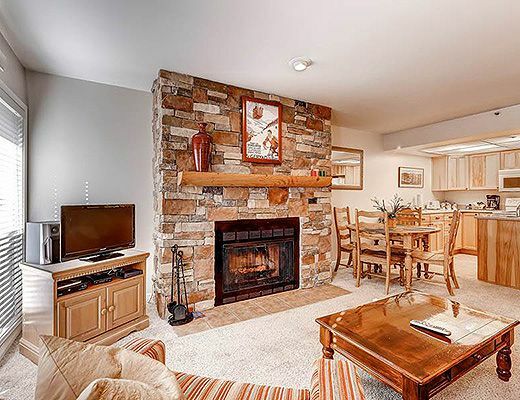 This two bedroom silver-rated condo is ideally situated just blocks from Park City Resort. 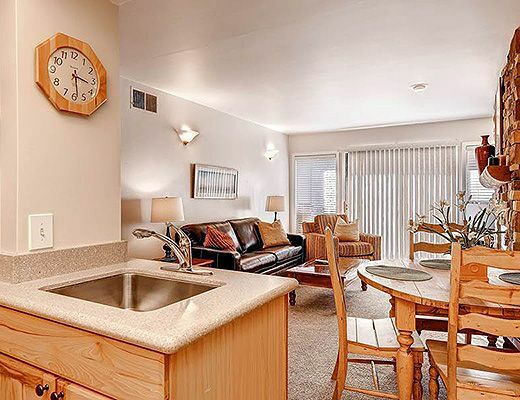 A desirable lodging option with its comfortable furnishings, inviting dÃ©cor and access to the common outdoor hot tub and tennis courts, this rental provides a brilliant mix of modern and rustic accents. 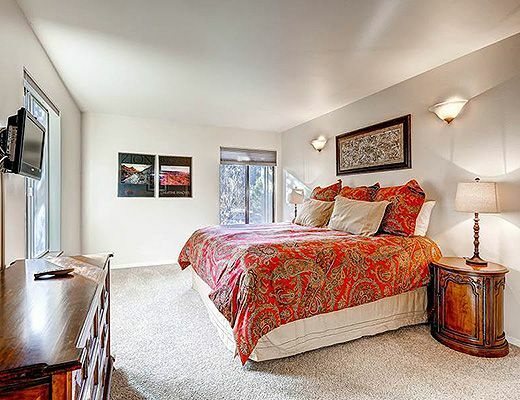 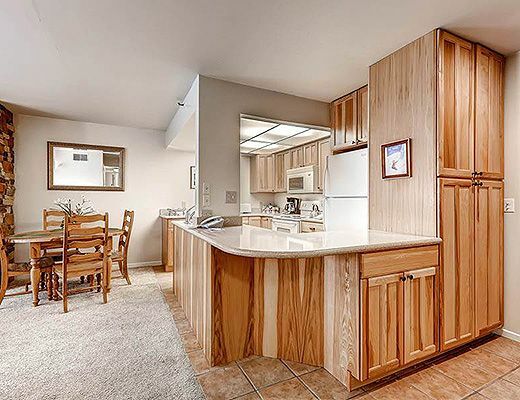 Accessible by stairs, this property is host to contemporary dÃ©cor and stunning mountain views. 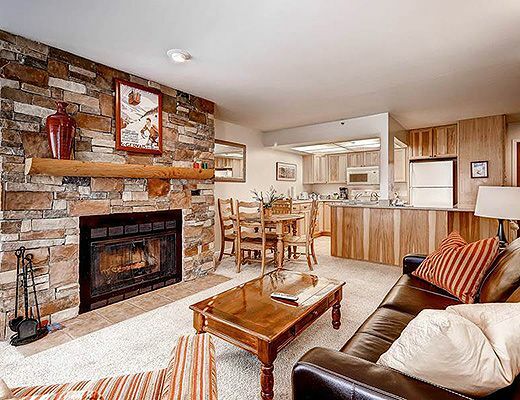 The corner fireplace offers a stylish edge, while the kitchen provides ample space for storage and meal preparation. 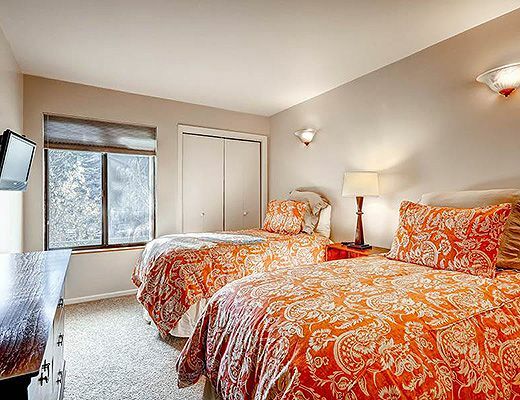 With two well-appointed bedrooms, underground parking and accommodations for as many as six guests, this property is certain to be a delightful addition to your ski vacation.